Issues from the Tolkien's Ring group. Artwork by members. Published by Café Press. 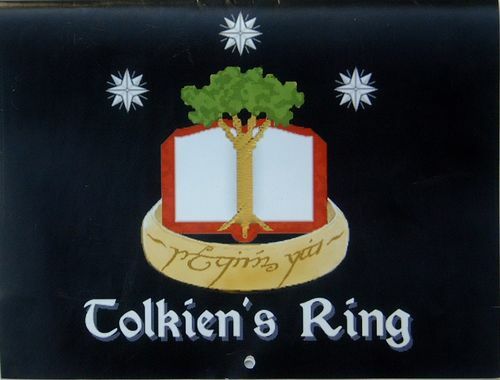 Tolkien's Ring was established on Jan. 31, 2002, with 24 members who came from a Barnes & Noble Lord of the Rings online class. (Happy 7th Anniversary!) Read Stormrider's letter about it. Currently there are 83 members from around the world. Their calendars are the result of various member poetry and art contests. “Tolkien's Ring" The first of the calendars issued by the Tolkien's Ring Hobbit Study Group. Illustrations by members of the group. Dimensions: 11 x 8.5 inches (w x h). 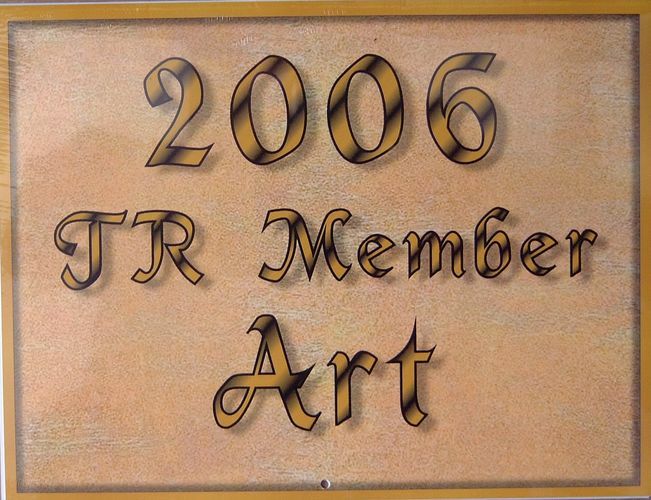 “2006 TR Member Art" Illustrations by members of the Tolkien's Ring Hobbit Study Group. Dimensions: 11 x 8.5 inches (w x h); shrinkwrapped. 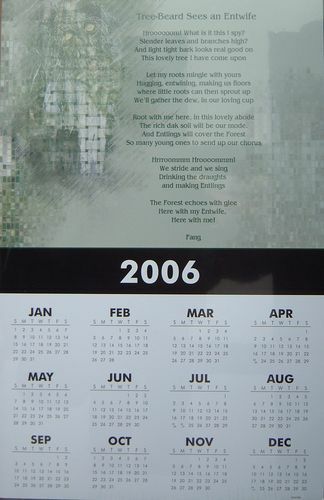 “Tree-Beard Sees an Entwife 2006" Single sheet Entmoot calendar from Tolkien's Ring. Dimensions: 11 x 17 inches (w x h); shrinkwrapped on a cardoard sheet. 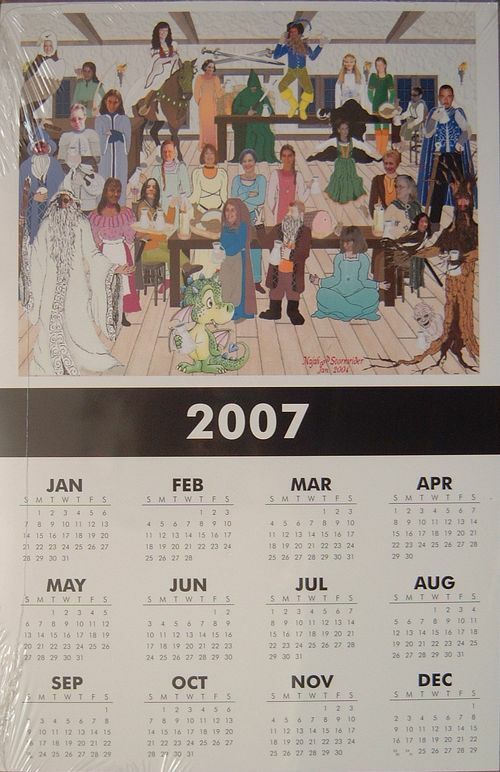 “The Pony Gang 2007" Single sheet calendar from Tolkien's Ring. Dimensions: 11 x 17 inches (w x h); shrinkwrapped on a cardoard sheet. 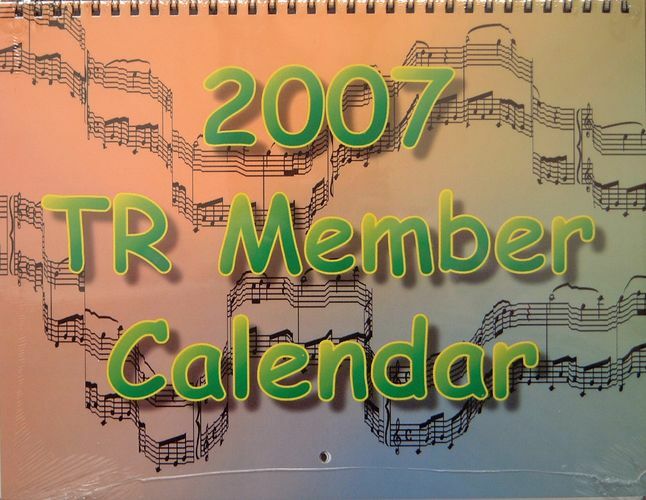 “2007 TR Member Calendar" Valar calendar from Tolkien's Ring. Dimensions: 11 x 8.5 inches (w x h); shrinkwrapped.